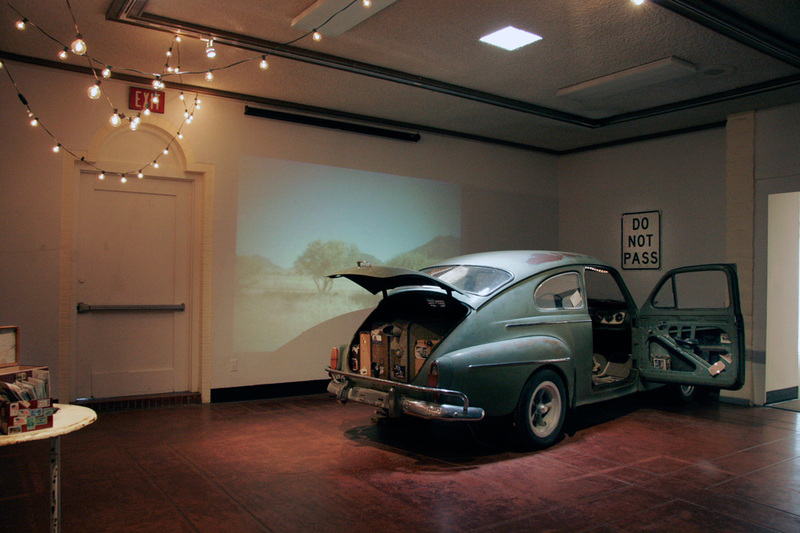 This installation is centered on the Road trip Experience. 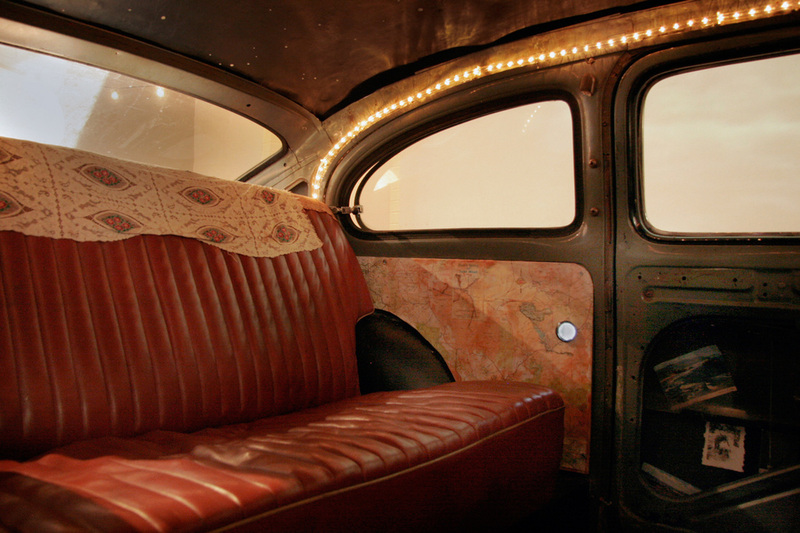 Participants can sit in the car and discover video playing in wall panels behind layered maps, watch as a video collage of scenery rolls by out the car window, or take in the constellations painted on the roof of the car. Inside the trunk is a series of suitcases with dioramas, images and a 19th stereoscope with a contemporary image. A postcard station is situated nearby with a telephone receiver which loops community members road trip stories. To contribute a road trip story of your own please email me. To view postcards left by participants click here.